What energy change takes place when you rub your hands together? Kinetic energy into heat energy. Light energy into heat energy. Kinetic energy into light energy. Heat energy into kinetic energy. Some thermometers contain a red liquid. What happens to this liquid when the thermometer is placed in hot water? When a glass thermometer is placed in hot water, the liquid in the thermometer rises. The liquid particles gain energy and move further apart. The liquid particles get bigger. The internal diameter of the glass gets smaller which pushes the liquid upwards. The liquid in the thermometer melts and rises up the glass tube. A bimetallic strip consists of two different metals riveted together. the two metals expand at different rates. the two metals expand at the same rate. only one of the metals expands. 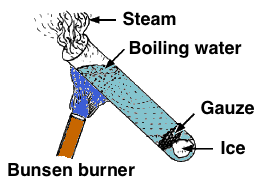 the bunsen flame causes one of the metals to melt. The ball and ring apparatus is used to study the effect of heat on metals. The source of heat is a bunsen flame. When the ball is heated, it can pass through the ring. If only the ring is heated, the ball will pass through the heated ring. When the ball is heated and then allowed to cool, it will pass through the ring. If both the ball and ring are placed in ice-cold water, it is possible for the ball to pass through the ring. 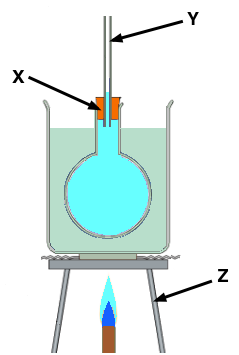 The apparatus shown is used to study the effect of heat on liquids. 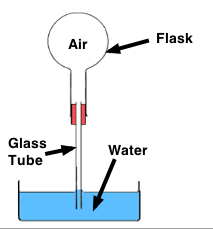 At what position on the glass tube would you expect the liquid to be after heating the flask? At what position on the glass tube would you expect the liquid to be after placing the flask in ice-cold water? Liquids _____________ when heated and contract when _____________. What are the parts labelled X, Y and Z in the diagram? X = stopper, Y = glass tube, Z = tripod. X = stopper, Y = test tube, Z = bunsen burner. X = glass tube, Y = tripod, Z = stopper. X = thermometer, Y = glass tube, Z = tripod. In the experiment shown in the diagram, bubbles are seen to pass through the glass tube. What does this experiment demonstrate? Water is sucked into the flask. Water expands when it is cooled below its freezing point. All liquids contract when cooled. The volume of a liquid does not change when it is cooled. As ice melts, its volume increases. below 0oC, the water changes to ice which expands and bursts the pipe. the pipe expands and bursts when the temperature goes below 0oC. the pipe contracts faster than the water in it. when the temperature rises above 0oC again, the water expands and bursts the pipes. In winter, when the temperature goes below 0oC, lakes are liable to freeze. In which one of the following ways is this most likely to happen? Ice forms at the surface first. The lake freezes from the bottom up. All the water in the lake turns to ice at the same time. The lake freezes from the centre first, and then into the banks. Which one of the following is not a method of heat transfer? a medium is not required. heat travels from particle to particle. heat travels by moving particles. a solid changes into a liquid. heat travels through different substances at different rates. metals are good insulators of heat. heat travels through metals by convection. Select a good heat conductor from the following substances. Select a good insulator from the following list. Heat may be transferred in three different ways. One of these methods of heat transfer does not require a medium. Which one of the following is this? A dark surface radiates heat better than a bright surface. What are the missing words from the following sentence? water boils at a higher temperature at higher pressures. water boils at a lower temperature at higher pressures. the pressure cooker works like a microwave oven. the food breaks down much faster at a higher pressure. A substance is heated and its temperature is recorded every minute. 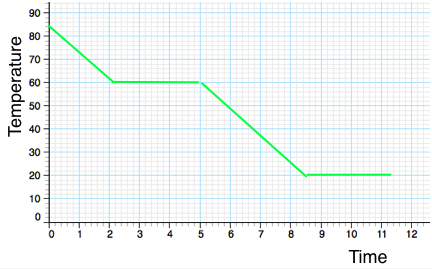 A graph is drawn like that shown. What is happening between B and C? The solid substance is changing into a liquid. The substance is solid with its temperature increasing. The substance is liquid with its temperature increasing. The substance is solid with its temperature decreasing. A solid is heated until it changes state into a liquid and allowed to cool. 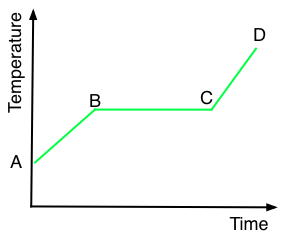 The diagram shows the cooling curve for this substance. What is the boiling point of this substance? A solid substance is heated until it changes state into a liquid and allowed to cool. At what part of the curve is the substance freezing? When a substance changes state such as a liquid changing to a gas, what name is given to the heat change taking place? 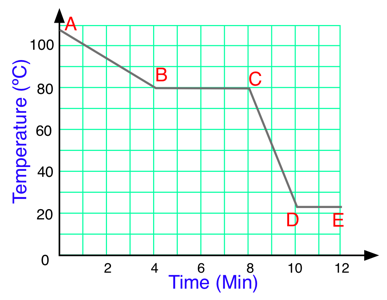 The graph shows the cooling curve of a substance. The melting point of this substance is 60ºC. The melting point of this substance is 20ºC. The boiling point of this substance is 80ºC. A piece of candle wax was heated until it melted. A thermometer was then placed in the melted wax and its temperature recorded as it cooled down. A graph was plotted from this data. Some of the wax is still a liquid between B and C.
The wax is still a liquid between C and D.
The melting point of the wax is 55ºC. The melting point of the wax is 85ºC. When a thermometer is placed in a beaker of warm water, the liquid in the thermometer rises. The liquid particles are getting bigger. The internal diameter of the thermometer is getting smaller and this causes the liquid to rise. The liquid in the thermometer melts and rises up the tube. On a very cold winter morning, water on the ground may turn into ice. The materials below may all be used in the construction of a house. Which one of these is the best insulator? Thermos flasks are used to keep drinks hot. The inside of the flask has a silver surface. is a good reflector of heat. is a good conductor of heat. is good at absorbing heat. 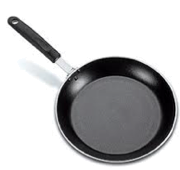 Most frying pans have a plastic handle. Ice melts at 0 ºC. What happens to the particles of ice as it melts? They gain enough energy to move around. They lose energy and escape into the air. They gain enough energy to change into hydrogen and oxygen atoms. They lose energy and cannot move as a result. Infra-red photography is used in cameras with night time vision. Which one of the following statements about infra-red radiation is correct? The hotter an object is, the more infra-red radiation is released. Hot objects do not radiate infra-red radiation. Cold objects emit more infra-red radiation than hot objects. Infra-red radiation cannot be detected with a thermometer. Which one of the following objects will reflect the most heat? Which one of the following objects will absorb the most heat? John wants to paint the radiator in his kitchen in order that it will give out the most heat. Which two qualities should he be looking for in the paint to be used? Solar panels are placed on the roofs of houses to trap the heat from the sun. Metals are usually good conductors of heat. Heat travels easily through insulators. During conduction, energy passes through vibrating particles. The particles in good conductors are very close together. Plastics are usually poor conductors of heat. The particles in a conductor are very far apart. Heat transfers easily through conductors. Heat transfer is very slow in insulators. In good conductors, the particles are very close together. The convection of heat occurs in liquids and gases. Which one of the following statements about convection is correct? Hot liquids rise above cold liquids. In a hot water tank, the heating coils are placed at the bottom of the tank. Convection occurs in water, but does not occur in air. The particles in a liquid travel more slowly when heated. 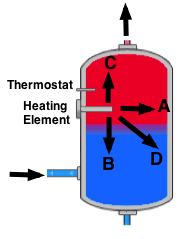 The diagram shows the immersion heater of a domestic hot water tank. Select the correct path that the hot water takes as it is being heated by the coil. As steam cools down, its particles lose energy. The steam changes into water. A beaker of hot water will evaporate faster than a similar beaker of cold water. The particles of a liquid with the most energy are least likely to evaporate from the liquid. Evaporation of a liquid from a surface e.g. sweating, will cause an increase in temperature. Evaporation will take place faster if the surface is small. A vacuum flask is designed to keep liquids hot or cold. Which part of the flask stops heat escaping by conduction and convection? 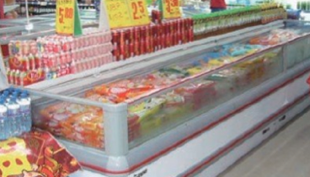 In supermarkets, some freezers do not have lids. Why does the food not get warm? The cold air is denser than warm air and falls to the bottom. Heat is conducted out of the freezer through its walls. The cold air does not have enough energy for its particles to move. The lid would cause heat to be better convected away from the freezer. Baked Alaska contains ice-cream covered by white meringue containing small bubbles of air. It is prepared by baking it in an oven for ten minutes. Why does the ice-cream not melt? The meringue is a poor conductor of heat. It is not left in the oven long enough. The white meringue is poor at absorbing heat radiation. Ice cream is a poor conductor of heat. Heat may be transferred from hot to cold places by the three methods listed below. Choose the method of heat transfer that occurs in the heating of the Earth by the Sun. Heat is transferred in different ways. Name the piece of apparatus shown in the diagram. 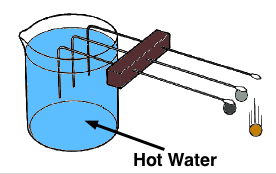 The diagram shows two metal cans equal in size and filled with the same amount of water at 100°C. Can A is wrapped in cotton wool and can B has no wrapping. After 15 minutes, which can, A or B, would you expect to have the higher temperature, and why? A, because cotton wool is a good insulator. A, because cotton wool is a good reflector of heat. B, because the metal can is a good conductor. B, because the metal can is a good absorber of heat. 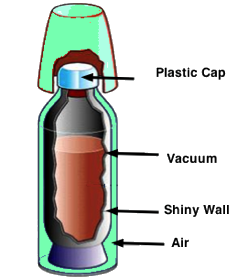 The picture shows a round-bottomed flask filled with air being heated gently with a hairdryer. What effect does the heating have on the volume of air in the flask? The volume of air increases. The volume of the air decreases. There is no change in the volume of air. The diagram shows a piece of equipment that can be used to investigate the effect of heat on a metal. The ball will pass through the ring when it is cold. When the ball is heated it will no longer pass through the ring. The mass of the metal gets bigger when it is heated, and it gets smaller when it is cooled. The ball expands when heated. After the ball is cooled, it gets small enough to fit through the hole. Metals will expand when heated. The graph is a cooling curve. The substance used in this experiment was naphthalene. Naphthalene has a melting point of 80ºC. The rate of heat loss was constant throughout the experiment. What is happening to the naphthalene between points A and B on the graph? It is changing from solid to liquid. It is changing from liquid to solid. A substance that is a solid at room temperature was heated above its melting point and then allowed to cool at a steady rate. The temperature was taken at regular intervals. The data is in the graph. Why is there no drop in temperature between B and C? The substance is changing from a liquid to a solid at this temperature. The substance is changing from a solid to a liquid at this temperature. The substance is being stirred. The particles in the substance have stopped moving. 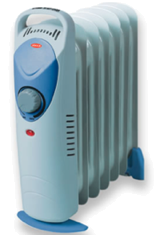 From the following list, select two differences between heat and temperature. Temperature is measured in ºC, while heat is measured in joules. Heat is a form of energy while temperature measure how hot or cold a body is. Temperature measures the energy of a body, while heat is measured in ºC. Heat is measured in newtons, while temperature is a form of energy. 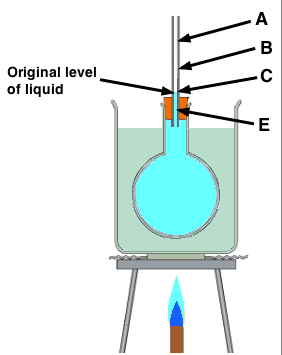 The apparatus shown in the diagram was used to investigate the expansion and contraction of a gas. What is observed when the flask is heated? Bubbles pass from the glass tubing into the water. The water in the basin begins to boil. The level of water rises up the glass tube. The level of water in the basin rises. When the flask was heated, air inside expanded. When the flask was allowed to cool, the water rose up the glass tubing. The air inside the flask contracted. The volume of the air in the flask increased. The water expanded and rose up the glass tubing. The photo shows a hot air balloon. Why does the balloon rise when the air inside is heated? The hot air is less dense than cold air. The hot air inside the balloon is attracted to the sun. The air outside is less dense than the hot air in the balloon, and it allows the balloon to rise. The wind blows the balloon upwards. beaker. The ball falls from the copper rod first. What conclusion can be drawn from this observation? Copper is the best conductor of heat. Iron is a better conductor of heat than aluminium. Water is a good conductor of heat. All metals are good conductors. 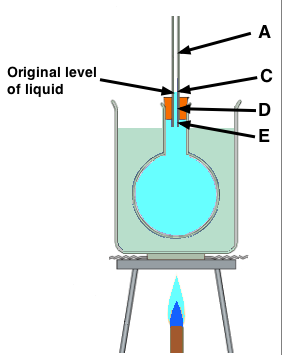 The boiling point of water can be determined using the apparatus shown in the diagram. 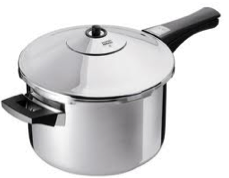 What effect does the raising of pressure have on the boiling point of water? The boiling point of the water increases. It has no effect on the boiling point of water. The boiling point of the water decreases. What effect does the lowering of pressure have on the boiling point of water? The photograph shows a solar panel on a roof. Water passing through the panel is heated by the sun. How does heat from the sun travel, through the vacuum of space, to the earth? Select two advantages of fitting solar panels to your home? It is less harmful to the environment. It can produce cheap electricity all of the time. Select a disadvantage of fitting solar panels to your home? It is expensive to install. It is very expensive to run. It is harmful to the environment. It only works in the summer. 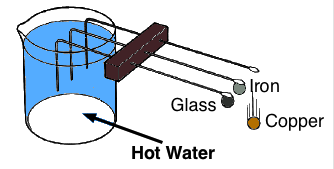 What does the experiment shown in the diagram tell us about the transfer of heat energy in water? That water is a poor conductor of heat energy. That water is a good radiator of heat energy. Heat travels by convection through liquids. That ice cubes sink in hot water. 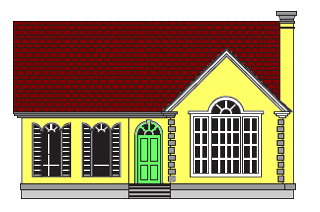 A family wishes to reduce the heat energy being lost from their home. Which three of the following methods will prevent heat loss by conduction?